On behalf of the Design Instruct community, I’d like to congratulate our winners! I’d also like to thank our 45 giveaway participants. The winners should have already gotten an email from the folks over at Designmodo with information on how to claim their prize. 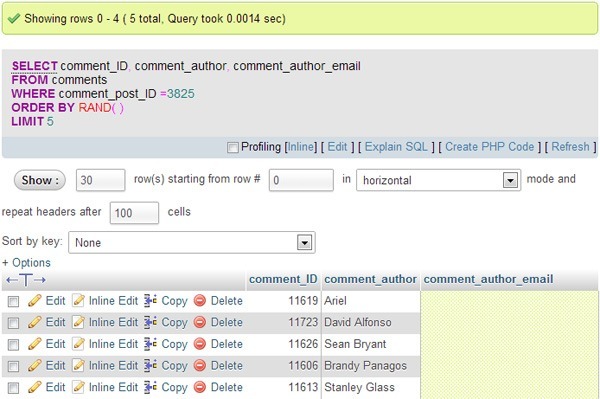 MySQL query result that randomly selected 5 winners. Email addresses of the winners were removed in the image for their privacy. Flat UI Pro by Designmodo is made for Twitter Bootstrap in a flat design style. The kit contains basic components, glyphs, icons and a variety of buttons and other elements made in the Flat Design style.